Hey Nerds! As you may have noticed, I haven’t been around as much lately. My new job is keeping me busy, so I’ve been focusing on getting into the groove of my new position. But there’s more. Last weekend, I started feeling under the weather. This passing feeling soon turned into a virus that has made working—and eating—difficult. So, I’ve been out of commission for a few days, which means my work has piled up. Rather than piece together some mediocre posts to somewhat amuse you, I’ve decided to take a break. Posts will return September 1st. 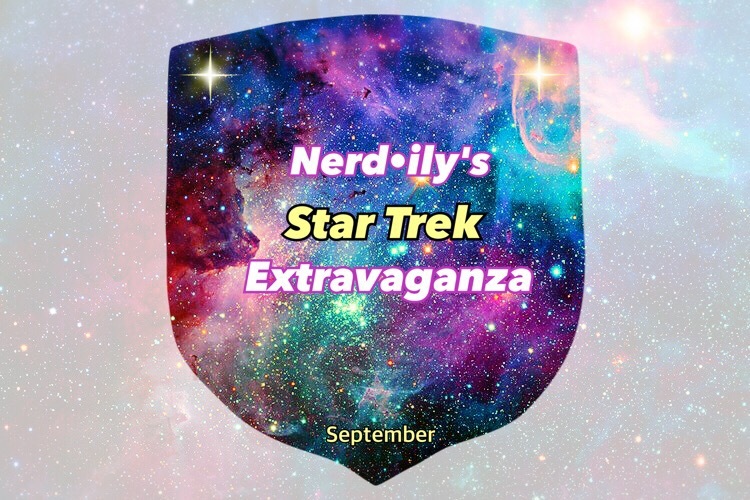 If you follow Nerd•ily on any social media channels, you’ve likely seen the announcement of the Star Trek Extravaganza. While I am taking a break, I have been planning and prepping for the month-long celebration. I hope you all will join me and my blog buddies as we kick back with a tall glass of Romulan Ale and toast to the crews of the Enterprise! For now, you can still keep up with what I’m doing in the meantime on Twitter, Facebook, and Instagram. See you in September for the Extravaganza! Enjoy your break, and I hope you feel back to 100% soon!